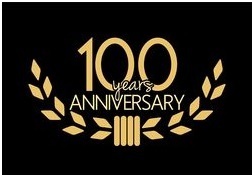 In 2018, American Tool Company is celebrating the 100th anniversary of its founding. Over the last century American Tool Company has evolved and expanded into a machining company focused on large diameter and one-off parts for the capital equipment market. It all started back in 1818 when Mr. David Schafer, who was working for a local machine shop, wanted to venture out on his own. Mr. Schafer rented space in an old mill building located on Montgomery Street in Pawtucket, RI. His first customers were local tool and die companies. The company was starting to grow when the Great Depression hit and tough time ensued. When WW2 began, American Tool found itself machining parts for torpedoes and other war related machinery. After the war, American Tool started to grow with the glass industry. American Tool was known for machining all the light bulb molds for the Corning glass works. It would be years before CNC machines were introduced so all of the complex molds were turned on monarch tracer lathes, working off templates that were carefully made on die millers. In 1963 the Schafer family bought 3 acres of land in Lincoln, RI and built the 13,000 square foot building that ATC is in today. In 1985 Rick & Diane McCally purchased American Tool Company. Once ATC was purchased, Rick immediately started to replace the manual machines with new CNC machines. In 1986 ATC purchased their first CNC lathe and in 1987 they purchased their first CNC milling machine. The lighting business was starting to die out, but with a new President leading the way ATC was able to focus on machining complex parts for the capital equipment market. Today, ATC is focused on complicated short run machined parts that range in size from a few pounds to 15,000 pounds. All of their machinists have been cross trained on several machines. This ensures the job will still be completed in the event that someone is out. ATC has a full QC department which is operated in accordance with (MIL-I-45208A). In addition to machining, ATC added welding and metal fabrication capabilities in 2011 to further support our customers’ needs.